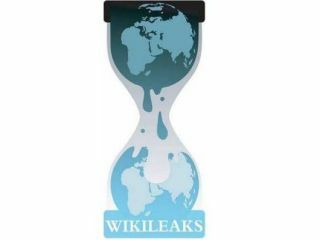 Wikileaks founder Julian Assange has accused three of the web's heavyweights as being tools for the US intelligence service. In an exclusive interview with RT.com, the Wikileaks founder berates Facebook, Google, and Yahoo explaining that Google and Yahoo "have built-in interfaces for US intelligence." His remarks about Facebook were even more cutting, with Assange saying the social network can be used for spying by the US and we are all doing the intelligence agencies' business for them. "Facebook in particular is the most appalling spying machine that has ever been invented," said Assange. "Here we have the world's most comprehensive database about people, their relationships, their names, their addresses, their locations, their communications with each other, their relatives, all sitting within the United States, all accessible to US intelligence." While Assange doesn't think that Zuckerberg and co are employed by the CIA, he does feel that Facebook is a major tool for the US government. "Is it the case that Facebook is run by US intelligence? No, it's not like that. It is the case that US intelligence can bring to bear legal and political pressure to them and it is costly for them to hand out records one by one, so they have automated the process." "Everyone should understand that when they add their friends to Facebook they are doing free work for the US Intelligence agencies, in building this database for them."